Helmets in stress test. See for yourself the kinetic energies acting upon the helmet. In this case, this is caused by ballistic impact of test ammunition 9×19 Parabellum 420 m/s – test scenario in accordance with TD overall system “Ballistic Helmet” 05/2010. The deformations found on the test heads illustrate the injuries (aka trauma-effect) caused by the stopped bullet’s remaining energy. 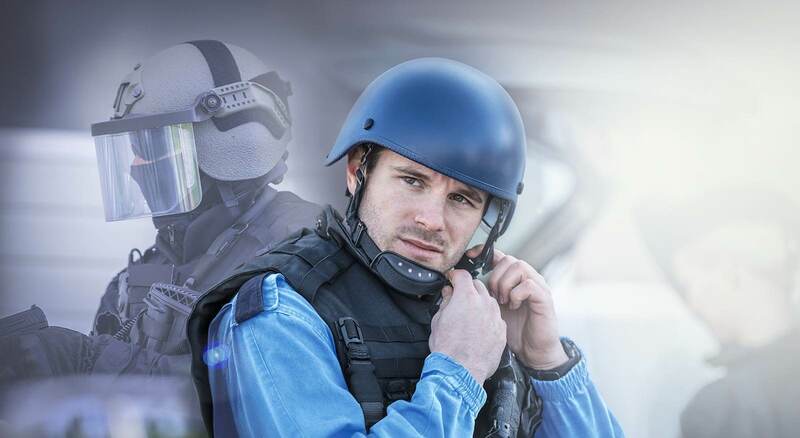 The remaining energy value featured by ULBRICHTS titanium helmets conform to the police’s technical directive (TD). At max. 10 joule, they are even clearly below the permissible value of max. 25 joule and reach only a small fraction of the value common for aramid helmets, which is – given the same calibre 9×19) – at about 60 to 120 joule transmitted. This value causes severe to lethal injuries. 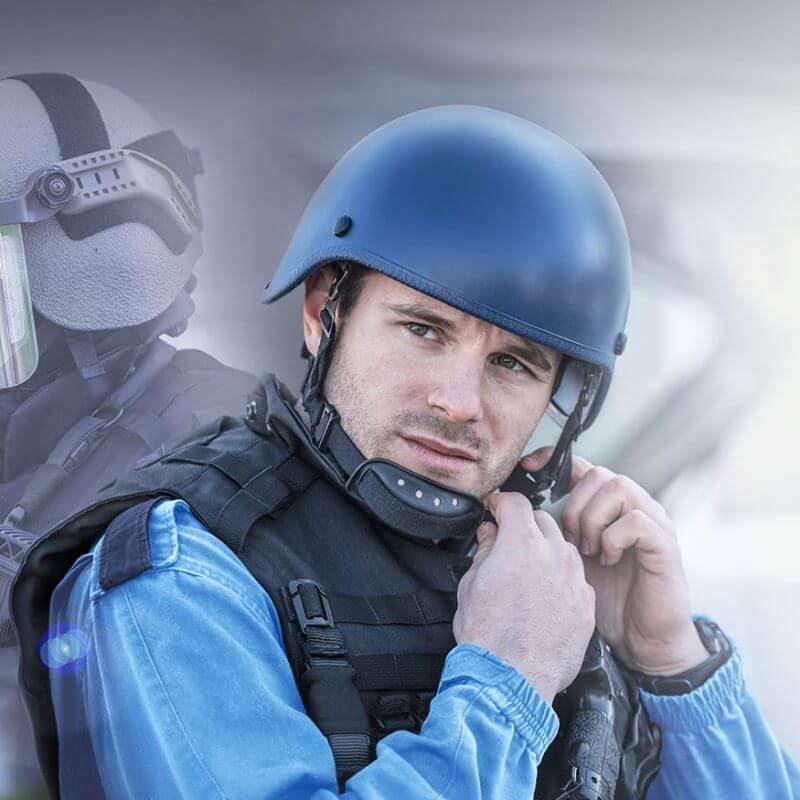 Only ULBRICHTS titanium helmets are able to prevent critical injuries of the skull cap.